The big question on many people’s minds today is just that: rent or buy? Younger generations are having an increasingly difficult time affording homes because of rising home costs, rising student loan debt, and low credit. There is no question that there are perks and drawbacks to both buying and renting for all demographics. Renting is the smarter move to make, especially for those who are newly out of college and ready to take the world by storm. You’re probably wondering – why is it better to rent than to buy right now? We’ve got some answers for you. Costs – This is number 1 on most people’s lists. 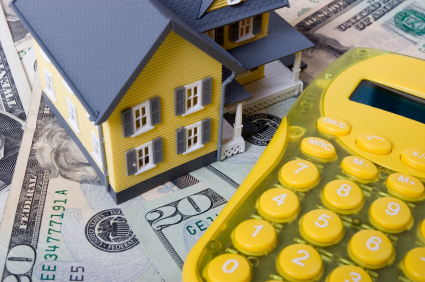 Can you afford to buy a home, keeping in mind all of the extra costs that come with it? You’ve got the down payment, closing costs, realtor costs, moving expenses, and more. The list of things that will cost you money in a move is almost endless. In fact, it will cost you 5 to 10 times more money to move into a home than an apartment. Then you also have to worry about paying for things like repairs and home taxes if the house isn’t up to snuff. It can get very expensive. Flexibility – If you’re just starting out, you don’t want to pigeon-hole yourself somewhere. Renting allows you the flexibility to move around and won’t demand as much of your attention. Travelling for work can cost you more money than it’s worth if you own a home – you have to hire someone to take care of gardening and making sure that your home is still standing when you return. When you rent an apartment, you can rest assured that all of that is taken care of for you. Repair Costs – Whether you buy your home new or old, you can be sure that there will be repair and maintenance costs that come up quickly. Leasing offices almost always have a maintenance staff on site to take care of whatever issues may arise with your apartment – at no extra cost to you. Things that could set you back hundreds of dollars in home repairs won’t cost you an extra dime in an apartment rental, which can be really useful if you’re on a budget. If you’re looking for a wealth of amenities and features at a reasonable price, apartments are the route for you. At Apartments of Wildewood, we offer homes with access to pools, an on-site gym, and maintenance whenever you need it – just to name a few benefits. Haven’t had a chance to tour with us yet? What are you waiting for? To set up an appointment to check out an apartment rental from Apartments at Wildewood, call us at 301.737.0737or visit the website! For more about renting with Wildewood, check out our Facebook, Twitter, Pinterest, or LinkedIn. This entry was posted on Friday, August 15th, 2014	at 7:17 pm	. Both comments and pings are currently closed.